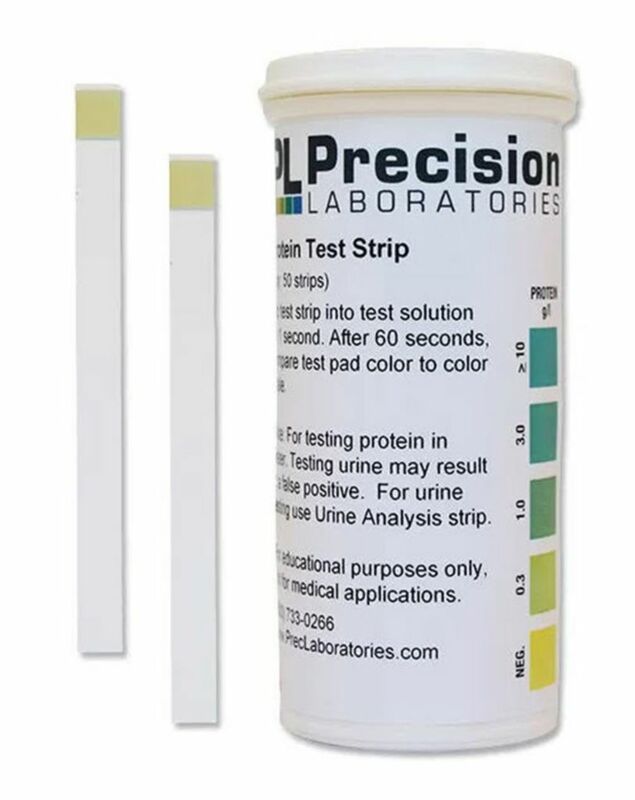 Add protein testing to your urinalysis procedures. 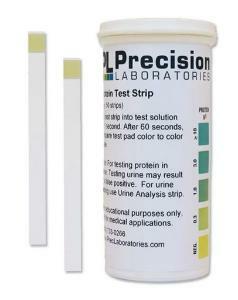 These single-test test strips have a plastic strip with a reactive pad to prevent contact contamination while handling. Simply dip the pad into the solution, wait 60 seconds, and compare to the color chart on the side of the bottle.